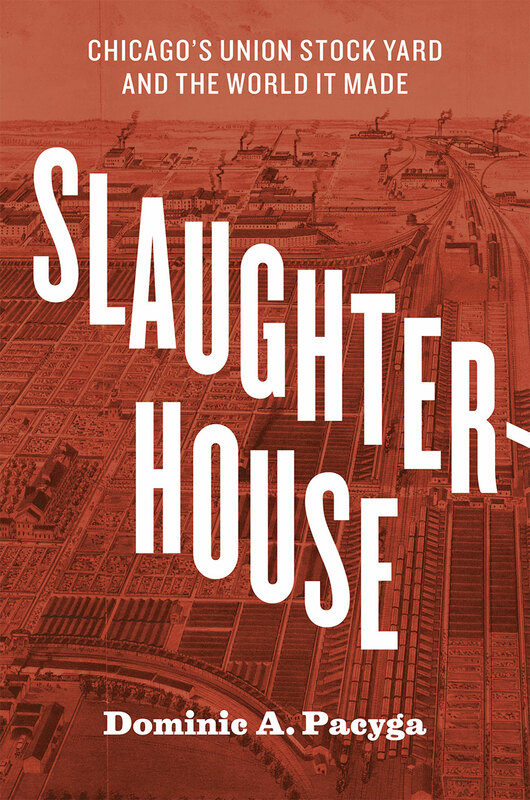 In his new book from the University of Chicago Press, Slaughterhouse: Chicago's Union Stock Yard and the World It Made, Dominic A. Pacyga paints a lively, fascinating picture of a bygone era. A history professor at Columbia College, Pacyga is also the author of Chicago: A Biography, hands down the city's best and most comprehensive history book. I spoke with Dr. Pacyga about Slaughterhouse, the downfall of the Union Stock Yard, and where to see its legacy today. I never realized the Union Stock Yard was such a huge tourist attraction in its heyday. What do you think drew so many people to visit back then? At the turn of the century it is estimated that some 500,000 people visited the Union Stock Yard and Packingtown annually. Today it is difficult to understand why this became such a great tourist attraction, but in the years after the Civil War the meat industry provided innovation, but also a grand spectacle to a quickly changing world being transformed by industry. The very notion that here was the "modern" in all of its strangely perverse glory became an attraction to the crowds that made their way to see the Brave New World in the stockyards. One of your central claims in Slaughterhouse is that the Union Stock Yard "ushered in the modern industrial age." What do you mean by that? The Chicago Union Stock Yard and the packinghouses that soon settled adjacent to it changed the age-old relationship between livestock and mankind. The "modern" presented itself on the kill floors of Chicago. What took a skilled beef butcher and his assistant more than eight hours to do occurred in roughly 37 minutes in Chicago. The disassembly line in the packinghouses gave birth to the assembly line at Ford Motor Co. These large firms also tried and perfected a national marketing system, established huge efficient factories, and incredibly well organized general offices that employed thousands of white-collar workers across the "Square Mile." In addition, new ways of advertising and marketing were also pioneered in the district. Even the idea of government regulation of industry emerged in the stockyards as the federal government attempted to prevent monopoly and to ensure healthy meat for the nation and the world. What's the most interesting thing most people don't know about the Union Stock Yard? Many people think they know a lot about the yards, but in reality much of what they know is myth or a result of reading Sinclair's The Jungle, an important muckraking novel. I think that most people do not understand the significant role that the industry in general and that "Square Mile" in particular played in the transformation of the United States from a basically agricultural country to an industrial behemoth. The stockyards were more than the smell, they were central to the innovation of industry and business in general. Furthermore, they provided a spectacle that few who witnessed it ever forgot. As I tell my students, Chicago was the Cupertino (the heart of Silicon Valley today) of the period from the Civil War until after the Korean Conflict. People and ideas gathered here to seek their fortunes. The Union Stock Yard and Packingtown were prime examples of that process. The International Livestock Exposition's motto "Success Comes To Those Who Hustle Wisely" should be emblazoned on the city's crest. 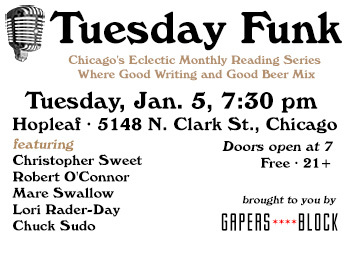 How was writing this book different from writing Chicago: A Biography? Chicago: A Biography was the result of 30 years of teaching the city's history in the classroom. I hoped to lay out a reasonable text for students and the general public alike who wanted to know about Chicago's past. 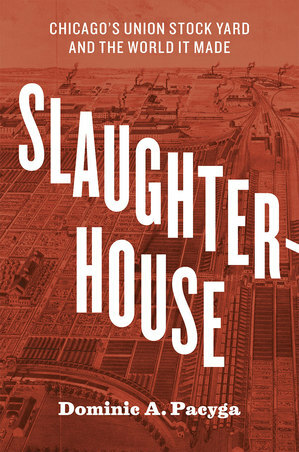 Slaughterhouse was also the result of more than forty years of fascination with the stockyards. Those who know my biography might think this a more personal book, but in reality just like my earlier work, Slaughterhouse is the result of years of research and writing. Certainly the scope of the two books are very different, but I hope that both tell the story of one of America's most important urban places. Could the downfall and closing of the yards been prevented, or was it inevitable thanks to technological progress? Given the changes in transportation technology and the development of direct buying methods by the packers it is hard to see how the stockyards could have survived. The Union Stock Yard was born of the railroads. The motor truck and the interstate highway system, along with improved means of communication basically meant it would go into decline. There was also a great deal of pressure from the city regarding pollution and other nuisances, which made it more and more difficult for both the meatpackers and the stockyard company to stay in the city. Also the center of livestock production was continually moving west. But given all that, it would have been possible (and I argue still is) for a smaller livestock market to operate in Chicago and continue the city's tradition as a major food producer. The major problem was that the property was getting to be too valuable to be left as a livestock market. 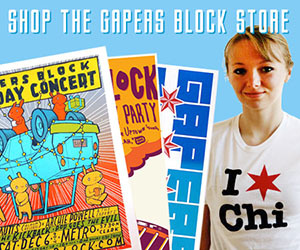 With the continued decline of livestock receipts at Chicago, the ownership decided to turn the land over to what they felt was a more profitable use. Where are the best places to see the legacy of the yards today? The Stone Gate still stands at Exchange Avenue and Peoria Street in the Stockyard Industrial Park. Various meat packers still operate in the area including two slaughterhouses. In many ways The Plant, a food business incubator at 1400 W. 46th St., and Testa Produce at 46th and Racine Avenue both maintain the tradition of innovation and spectacle that I write about in the book. 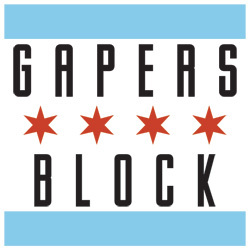 A walk around the four neighborhoods that surround the Union Stock Yard and Packingtown: Bridgeport, Canaryville, Back of the Yards, and McKinley Park would tell volumes about the immigrant history of Chicago.